Could Energy Psychology Transform Couples Therapy? Q: I’ve heard about energy psychology and the use of tapping with PTSD, phobias, and depression. Can this approach be extended to issues that commonly come up in couples therapy? A: As you know, but others may not, tapping refers to the stimulation of acupuncture points (acupoints), by tapping on them, as part of a self-help technique or as a component of psychotherapy. Phrases or images that mentally activate a difficult memory, a problematic emotional or behavioral response, or a desired outcome accompany the tapping, which involves the client firmly tapping for about 5 to 10 seconds each on about a dozen acupoints. Techniques designed to facilitate left–right hemispheric integration, such as humming and counting, are also often part of the protocol. Self-reported shifts in emotional and physiological states (rated on a 0 to 10 scale and taken many times in a single session) guide the therapist in forming the words and imagery that will accompany the next round of tapping. So the short answer to your question is absolutely. Couples therapy provides a rich context for acupoint tapping, both in the office and as a tool to use at home. The primary psychotherapeutic effect of acupoint tapping is the rapid reduction of limbic system arousal, but its applications are varied. As a back-home tool, for instance, you can teach a couple to use tapping when either partner feels an interaction is becoming uncomfortably charged. At that point, they can both begin to tap to calm themselves before deciding how to continue the discussion. They learn how to do this during therapy sessions and make a firm agreement to invoke the method at home when arguments begin to heat up. In the office, you can apply tapping to defuse the triggers that evoke anger, hurt, or resentment. Specifically, you can decrease the emotional charge one of the partners carries from earlier relationships or from an earlier time in the current relationship. You can trace a dysfunctional behavior or emotional response to formative experiences and—while the other partner witnesses—address the attachment wounds connected to those experiences. The empathy and understanding that emerges in the partner who’s watching can be a game changer, building a path to healing through some of the couple’s most emotionally hazardous territory. Couples therapists who introduce tapping to achieve such outcomes can still use their basic therapeutic approach. They can stay attuned to the connection between the partners, to their own connection with each partner, to each partner’s history and their history as a couple, and to other core issues. But with tapping, they have a tool for zeroing in on—and rapidly shifting—the emotional, cognitive, and behavioral responses in each partner that are causing the difficulties in the relationship. Here’s an example of how this worked with a couple in my own practice. I decided to focus first on Elizabeth’s self-criticism. The temporary shift to one partner’s psychodynamics and away from the couple’s interactions is standard practice when using tapping in couples therapy. To start, I asked Elizabeth to think of an event she’d hosted the previous week at work. In recalling all the ways she felt she could’ve done it better, she gave it a rating of 8 (on the 0 to 10 subjective units of distress, or SUD scale). 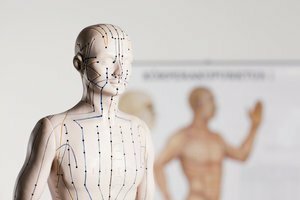 After a few rounds that had her tapping on about a dozen acupuncture points while keeping the incident in mind and doing a few other physical procedures designed to facilitate left–right hemisphere integration, she rated the distress she felt about the incident at a 5. This took about three minutes, and her reaction was typical, as the tapping deactivated her amygdala, even in the absence of insight or conscious intention. Another round brought the SUD down to 4, but it seemed stuck there after the next two rounds. When I asked about her experience while giving the SUD rating, she reported that scenes from her past emerged: childhood memories of longing for her father’s approval and not getting it, though her younger brother had constantly been praised and admired. Bringing her focus to a specific incident, she recalled yearning for her father’s approval after performing in a school play, and rated this memory a 10. Her pain was evident, and Jim had empathic tears in his eyes as he watched. An advantage of being able to do a round of tapping in two to three minutes is that you can cover multiple aspects of an issue in a single session. We stayed with Elizabeth’s childhood memory of not receiving approval until it had been tapped down to 0, requiring about five rounds. We then focused on her brother’s receiving the praise she longed for, this time going from 7 to 0 on a childhood memory. Quickly reducing the SUD score on a series of painful memories down to 0 is typical in energy psychology treatments. You usually try to tap on specific incidents and the emotions and physical sensations they bring up, but core beliefs—such as the exaggerated authority Elizabeth was still giving her father to determine her sense of worth—can also be a focus of tapping. Though we made progress on this issue, further resolution was going to have to wait for another session because I wanted Jim to experience tapping as well. So at this point, I had him recall a recent time he was unsuccessfully trying to comfort Elizabeth. For him, the initial SUD was at a 10. And again, as often happens, memories began to surface once the tapping had taken some of the charge off the immediate issue. Jim’s mother had suffered from depression, and his determined efforts to cheer her up hadn’t worked particularly well, though he kept trying for years. The overlay from those experiences left him highly reactive when he couldn’t console Elizabeth. Seeing his boyhood dilemmas and pain moved Elizabeth to tears. By the end of the session, I felt that a healing alliance between them had been established. One of the final issues we addressed was Elizabeth’s ability to self-soothe. We made a mental association by using tapping combined with affirmation—“Even though there may still be times when I feel down, I know I’ll feel better if I sit on the porch and listen to music.”—to link times of feeling despondent with ways she could console herself. Beyond limbic system deactivation, tapping seems to enhance the power of suggestions and self-affirmations. As Jim felt less pressure from Elizabeth, he was more effective in comforting her. Now that his overtures of support could be accepted and appreciated when they were needed, what had been a thorny obstacle to their intimacy became a source of bonding. I recommend completing a comprehensive certification program in tapping, but many therapists have learned acupoint tapping procedures from books or brief training programs. Of course, picking up a tapping protocol doesn’t make a person a couples therapist, but skilled couples therapists will find it to be a powerful tool to address the issues facing their clients with greater speed, versatility, and precision. This blog is excerpted from "Teaching Couples to Tap" by David Feinstein. The full version is available in the September/October 2016 issue, Courage in Everyday Life: An Interview with Brené Brown.